Humble at the age of 19 is always something that stands out for me when watching a young kid about to enter the league. Maturity can always be a big turning point for a young man on this level. Skill-set is also another obvious one when it comes to Towns. The versatility of the league today almost demands a big man that can defend and step-out to calmly hit an 18-footer with ease and that’s what I think Towns will do. 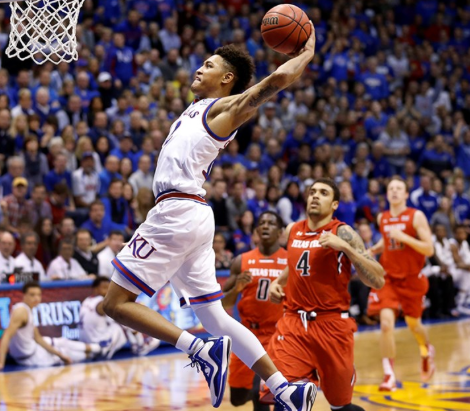 He’s got a very good looking shooting stroke and will have the ability to knock down the three-ball in the NBA but his game will be better suited in the mid-range area, especially early in his career. I think as Towns grows as a player and develops his game further he’ll be able to knock down the triple regularly. What if Dwight Howard could shoot, dribble and move the way Harden does? 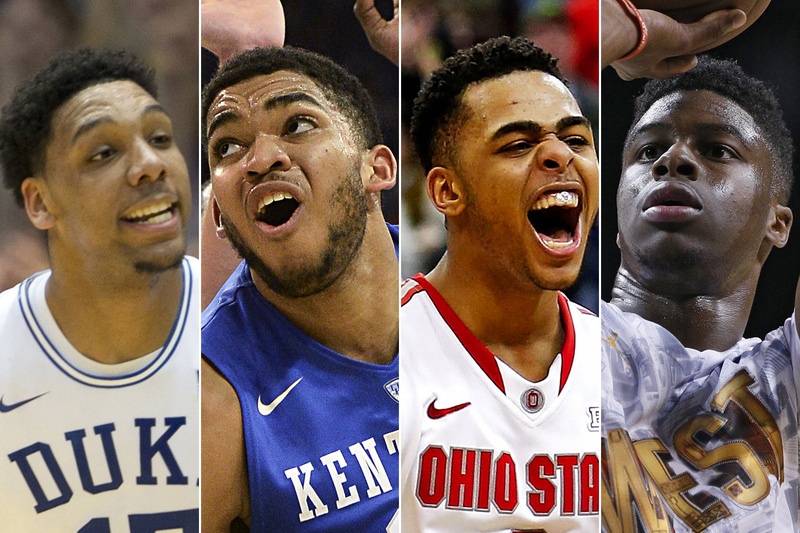 Towns can be a franchise-changing talent. Clear cut number-one in this class. I’m probably one of the few that isn’t a big fan of Okafor. There’s no doubt that he’s a gifted low-post player, the footwork and ability around the basket is impressive, but there are plenty of things that concern me. Most importantly is defense. His shooting is another flaw that irritates me. He has a long wind-up and a little bit of a hitch on his jump shot and while I understand his bread is buttered in the low-post, I would still like to see the versatility on the offensive end, especially with the way the game is today. If you can’t play defense and can’t spread the floor you’re going to be in a lot of trouble when a team goes small like the Golden State Warriors did in this year’s NBA Finals. Hack-a-Okafor could be another obstacle to overcome for Jahlil. He’s a poor free throw shooter and what good is taking a player with a top pick if you have to keep him off the floor during crunch time? There are also questions about Okafor’s conditioning and while it’s a great sign that he’s already lost a considerable amount of weight that’s still a little bit of a concern. Zach Harper of CBSsports.com likens Okafor’s ceiling to DeMarcus Cousins and his floor to Al Jefferson. Cousins is way too high to me, I don’t believe the all-around talents are comparable and Cousins was/is a lot more physical and aggressive. Jefferson and Zach Randolph I think are good comps and it still means good NBA player, just not a franchise mover. Porzingis is the biggest wild card in the draft. The entire season he was slated to go in the top-six in mock drafts on NBAdraft.net so him going high in the draft should come as a surprise to no one, but during the NBA Draft combine on ESPN Fran Fraschilla said Porzingis is good enough to go in the top-two and now after his first workout in the states we began seeing the same type of praise. 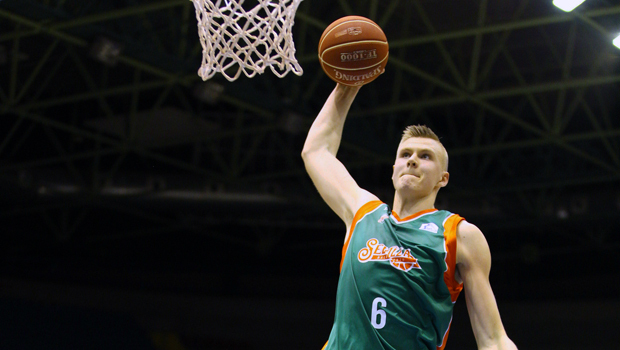 Porzingis was VERY impressive in workout. 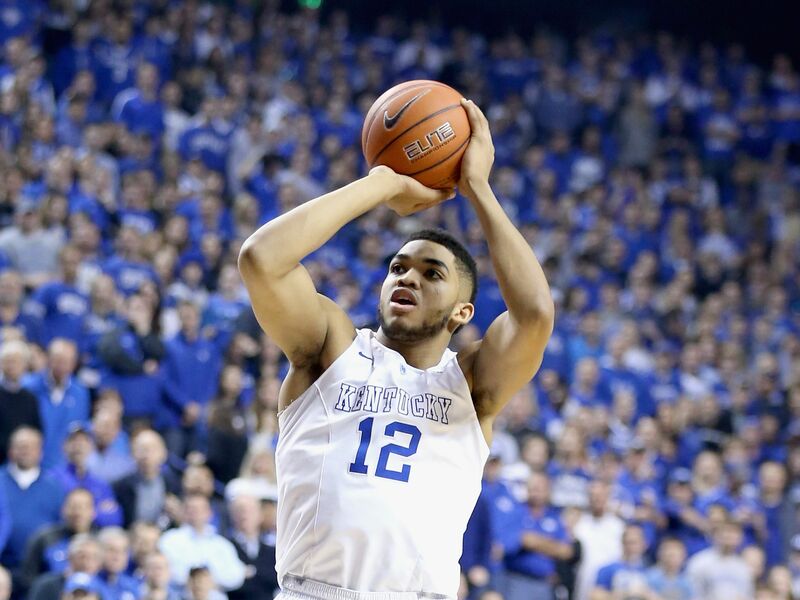 A scout called him the best player in the draft “He’s better than Karl Towns,” said the scout. “I think that I showed my range and how big I am in person, I’m 7-1 with good mobility, am pretty quick for my size, and have good athleticism. I’m really long and can block shots on defense, too. I’m not the stiff European that everyone thinks I am,” he said with a chuckle. The Andrei Kirilenko part of his comp is more about his body build, athleticism and the way he looks physically. He’s much better than him offensively and not nearly as good defensively. But one thing is certain is his offensive skill. He may be two years away from seriously contributing but if he fulfills his potential he could be lethal offensively. I think we see a draft day trade here with Philly and Orlando involving Porzingis and Emmanuel Mudiay. There may not be a smoother, more skilled player in the draft, and with the NBA becoming a guard-driven league players like Russell are in high demand. Russell is the best passer in the draft and best to come out of college in quite some time. His shooting isn’t Steph Curry-like, no one is, but the stroke is pure. Curry is someone he models his game after but to me Russell resembles more James Harden both offensively and defensively. A true combo guard with great passing like Harden but struggles to guard anyone on the defensive side of the ball which of course is always concerning, but if Russell can become even average defensively he’ll be one of the best overall players in the game. 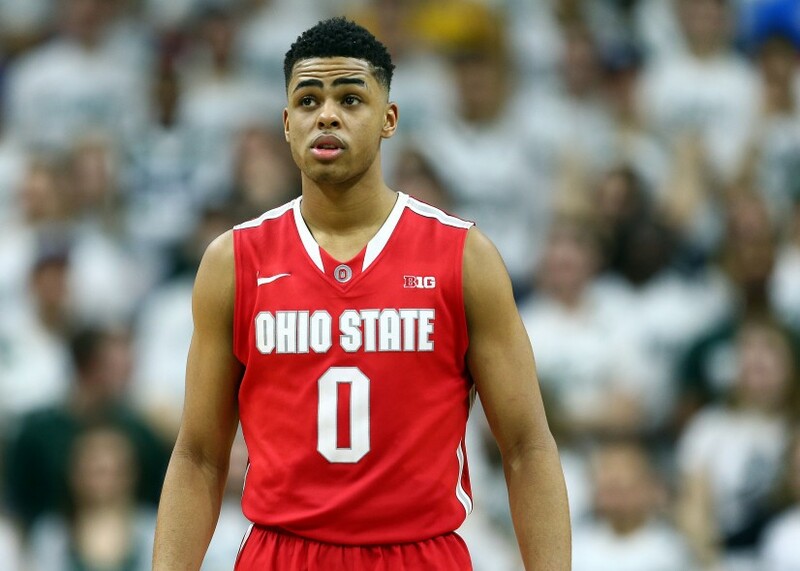 If the draft shakes out this way the Knicks will be huge winners landing Russell fourth overall. Even though playing professionally in China has helped Mudiay grow and mature younger than he probably would have otherwise, it may have actually hurt his draft stock somewhat not playing college ball in the states. 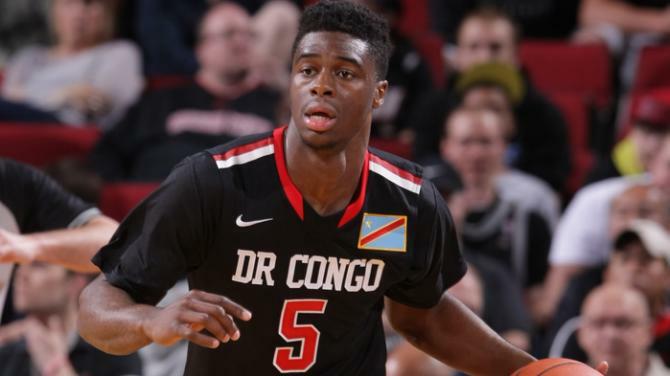 While Russell may be the most talented offensive guard in the draft, Mudiay looks to be the better pure point guard. I love his size for the position and unlike Russell, he’s a true point guard who gets to the basket with ease and loves to find an open teammate. The only real knock on Mudiay has been his shooting but he showed well in his pre-draft workouts and just needs to be more confident in his ability to hit the jump shot because the form looks fine, he just needs to keep it consistent and do the same thing every time. Orlando certainly doesn’t need Mudiay with Elfrid Payton flourishing the second half of last season, but they do love Porzingis and I think a trade with them and Philly is something we see draft night. 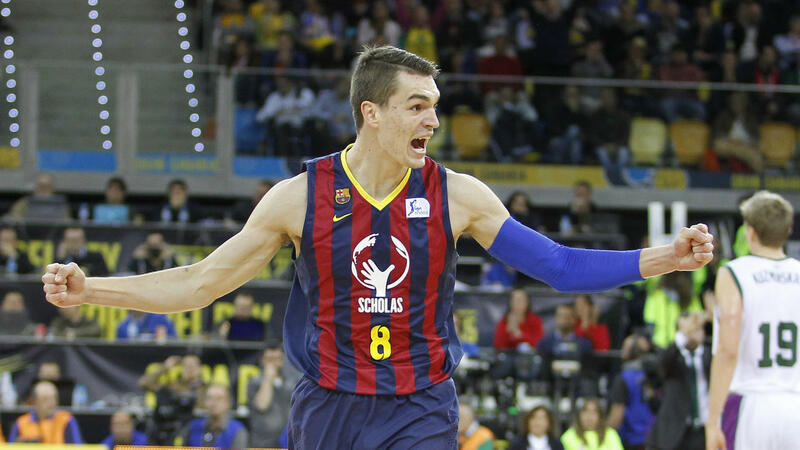 One of my favorite players in the draft, Hezonja looks very strong and ready to play in the league tomorrow. I love his shooting stroke, the form is the same every single time and it’s pure, he’s the best shooter in this draft. There are few things I love more than confidence in a player. Sometimes it can be dangerous and begin leaning towards arrogance, but for a 20-year old kid to be this confident in his abilities has to speak volumes. There are some concerns about the lack of playing time he received but that tends to be the case with a lot of young international players. They’re playing on professional teams at such an early stage in their careers and they haven’t earned 30-minutes per night quite yet but that stuff doesn’t bother me. 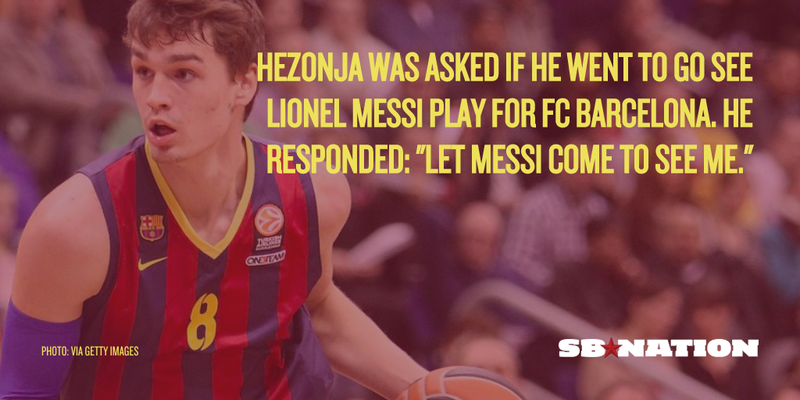 There have been reports of Kings president Vlade Divac’s interest in Hezonja, and rightfully so. I fully expect Hezonja to be a very good player in this league. 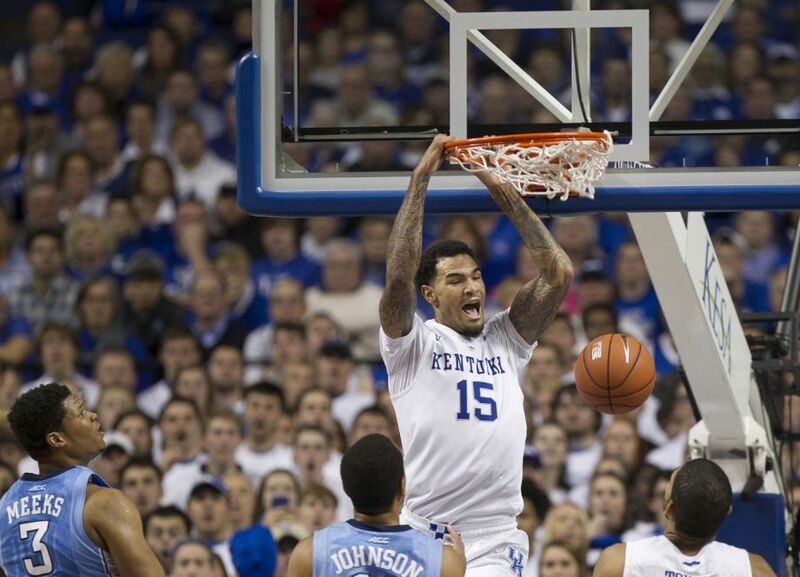 For a while I was totally against Cauley-Stein going this high in the draft and it had nothing to do with his defensive ability or athleticism. I didn’t like the idea of a player going that high who had virtually no offense game. And then I saw him shooting in his pre-draft workout video on DraftExpress and I was floored. It’s not that I think Cauley-Stein is going to shoot the lights out like Dirk Nowitzki, it’s the simple fact that he’s showing to be a capable shooter and when you combine that with him being the best defensive player, the best athlete and the best rebounder, you’ve got a flat-out stud on your hands. I view Cauley-Stein with the potential to be the third-best player in this year’s class and if he can consistently knock down a 15-footer to keep defenses honest, he’s going to be a very impactful player in this league. I think we see another draft day trade here. The Nuggets are looking to mix things up quite a bit this off-season under new head coach Mike Malone and I think it starts June 25th. Their trade partner here could be the New York Knicks depending on how the top of the draft shakes out, or the Indiana Pacers. 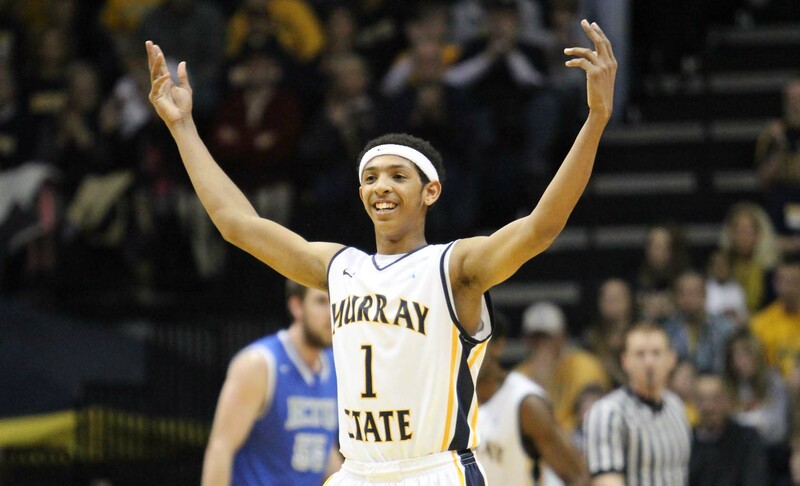 Maybe Larry Bird will actually get to pay Cauley-Stein that $100 million he believes he’ll be worth. 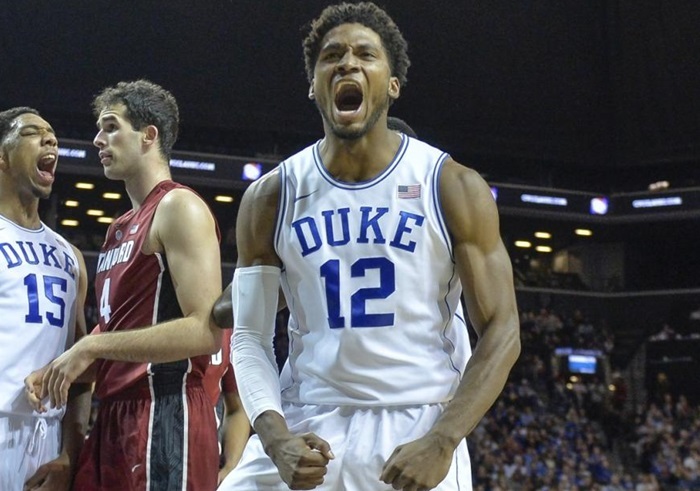 Winslow is another one of my favorites in this draft. His offensive game really started to come on late in the season – 14.9 points per game the last 14 games, including 16.0 over his last five in the NCAA tournament. 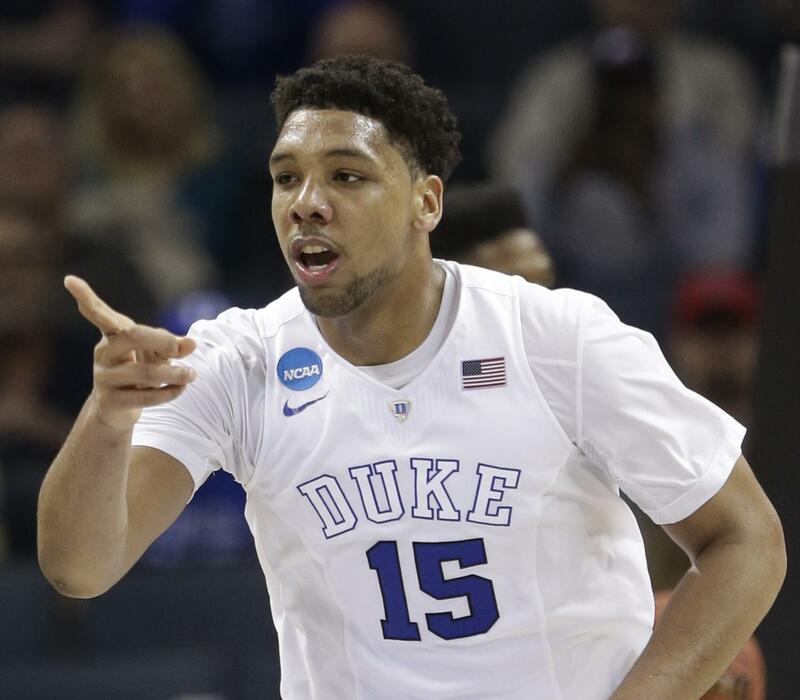 You can argue he was every bit as important to Duke’s National Championship run as Jahlil Okafor. I don’t believe Winslow will be a power forward at all, certainly in today’s NBA he will more than likely end up playing the position for a few stints during the course of a game but to me Justise is a clear small forward. His strength is his defense and there’s no doubt about that, it’s the other side of the ball that has drawn some concerns but Winslow is out to prove he’s better than people think and I believe he will. 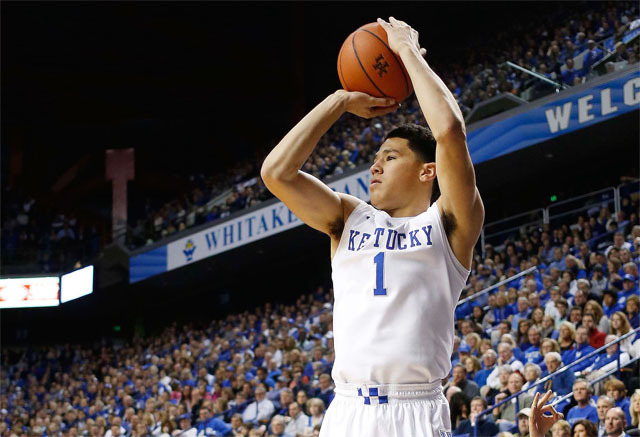 Booker is the youngest player in the draft and one of the smoothest as well. When you look at this Kentucky team it’s really baffling that they didn’t cut down the nets at the end of the season with all this talent on the roster. Booker may not be the best shooter in this draft – that notion goes to Mario Hezonja – but he very well may be the second best. And his weight allows him to use his body well on the defensive end. Booker isn’t a great defender quite yet but his body strength allows him to keep offensive players in front of him and I think he grows on that side of the ball much like Klay Thompson has thus far in his career. 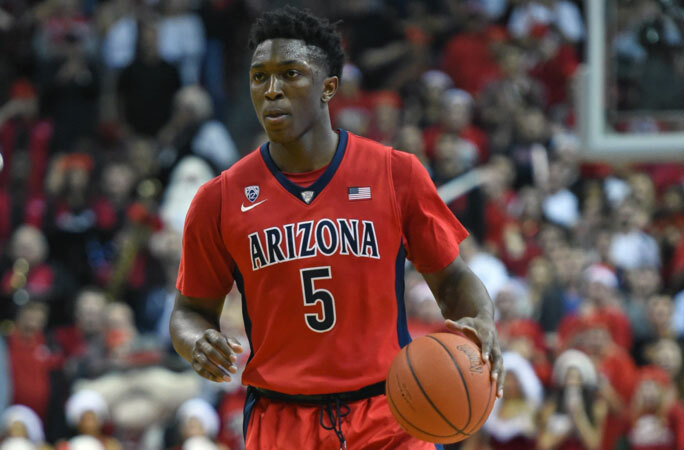 For much of the season Stanley Johnson was rated as a top-five player in this year’s class. He fell off as some others were rising but there was also some talk of Johnson taking plays off and that’s never a knock you want. Especially for a kid entering the NBA draft. But the fact is outside of Cauley-Stein, he is the best defensive player in the draft and certainly the best wing defender in the draft. Ron Artest on his best day was an impact all-star caliber talent and Johnson has the chance to resemble those same traits. Payne suffered a non-displaced fracture of his ring finger on his off-hand with his workout in Denver and is only expected to be shelved three weeks so that shouldn’t take a hit on his draft stock. Payne is another one of my favorites in this draft (as you can see I’ve got quite a few), he sees the floor like a Rajon Rondo-type and can pull-up to knock down a long triple with ease to go with. Maybe the best pure point guard in this draft, Payne’s game is smooth but he doesn’t possess the athleticism of a Mudiay or the skill-set of a Russell which is why he’ll go behind those two, but don’t discount what Payne will be able to do on the NBA level. If the Pacers stay at eleven I think they most certainly take Payne, but figuring a potential draft-day trade with Denver in this scenario, he can still be an option for a Nuggets team actively shopping Ty Lawson. As I stated with Hezonja, I love confidence in a young player but I think Oubre is going just a tad bit overboard here. You can probably relate some of that to the fact that Oubre is a Hurricane Katrina survivor, after the tragedy his family started a new life in Houston and spent nights in hotels, even a car, just to get by. So overcoming something like that and conquering life, having to work and get better in basketball probably comes easy for Oubre. As for his game, he definitely has skill. You can tell he models his game after James Harden with some of his side-step moves and drives. He also looks a lot like James Young and not just in physical appearance. I think he’ll be better than Young, but Harden? That’s a stretch. Some think Turner may be able to play the four in the NBA, I don’t see that at all. I don’t think Turner is quick or athletic enough to guard them in today’s game, but I think he can make a good defensive center in the league. 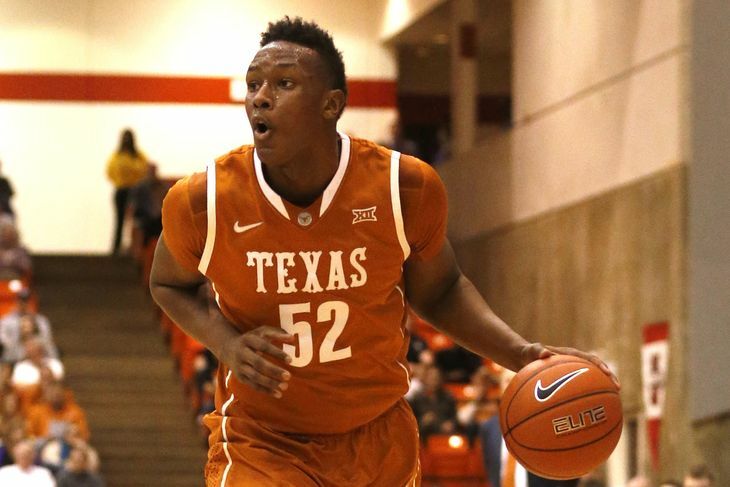 Turner is a good shot blocker that has developed the ability to step out and hit the three. He isn’t anywhere near the shooter Towns and Porzingis are but he can keep a defense honest and if you can bring solid defense, rebounding and a touch from the outside at seven-feet tall, you’ll stick around for a long time. Lyles is another one of my personal favorites in this draft. 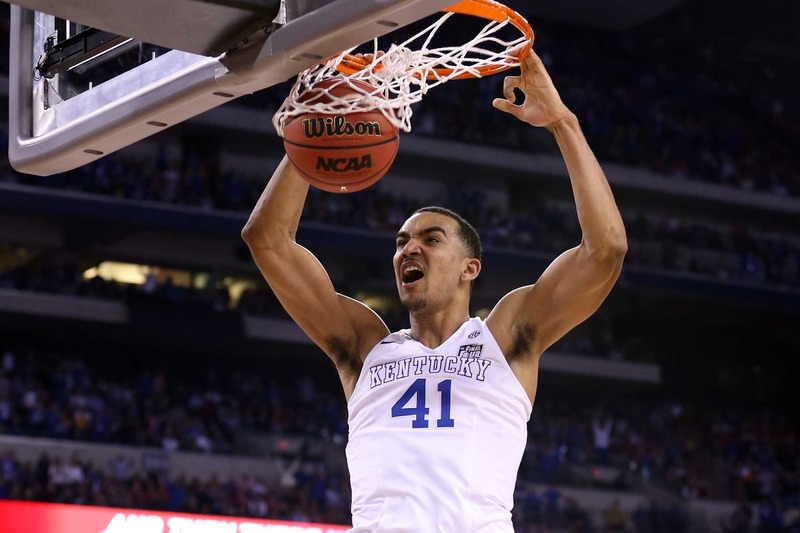 There’s a reason why Knicks president has reportedly been “enamored” with Kentucky freshman Trey Lyles, the kid had a lot of skill. He was another victim of too much talent on this loaded John Calipari team. Not only were his minutes limited but he was even forced to play a lot of small forward because of Towns and Cauley-Stein taking up the rest of the front-court. 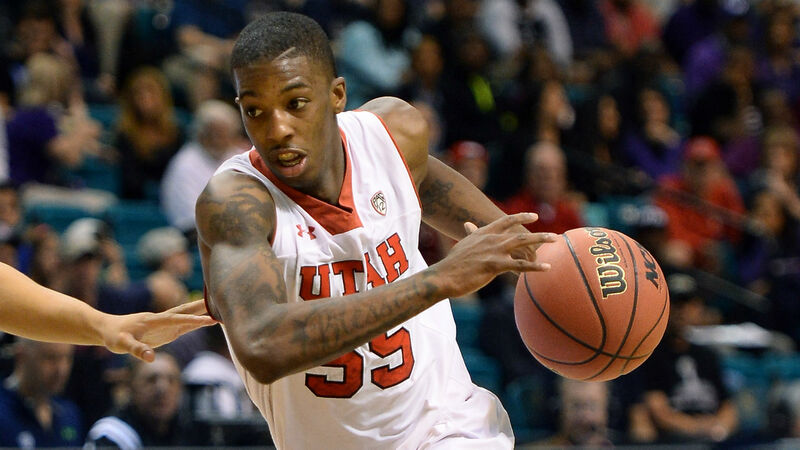 Although he played it frequently at the college level, I don’t see Lyles as a small forward in the NBA. He’ll be a smooth playing stretch-four that will be able to face-up his man and take him to the rack and then knock it down from seventeen on the next possession. His defense isn’t strong but I don’t think he’ll be incredibly weak on that end, either. Lyles could probably go anywhere from 8-18 in this draft, but that’s just a testament to how good some of the kids in this class can be. 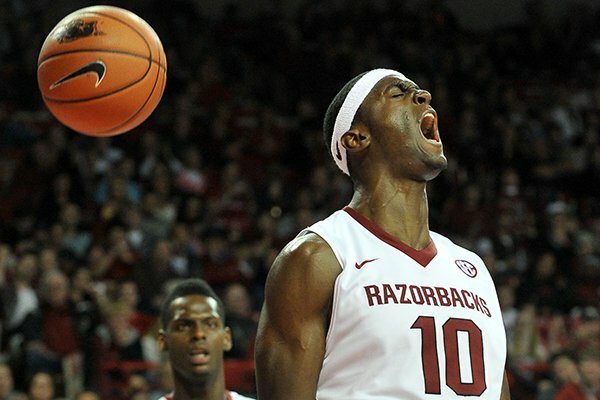 Portis models his game after his idol Kevin Garnett but the only things that really resemble “The Big Ticket” is his shooting form and even the way he looks a little bit. Portis is more like Greg Monroe both in size and feel for the game but has a much bigger motor that doesn’t seem to quite stop when he’s out there. He’s a great offensive rebounder and a very solid mid-range shot that he’s working on stretching it out to the three-point line. Portis would be a nice fit for a team like Atlanta who could use more size and should probably even consider moving Al Horford to the power forward spot and letting Paul Millsap walk. 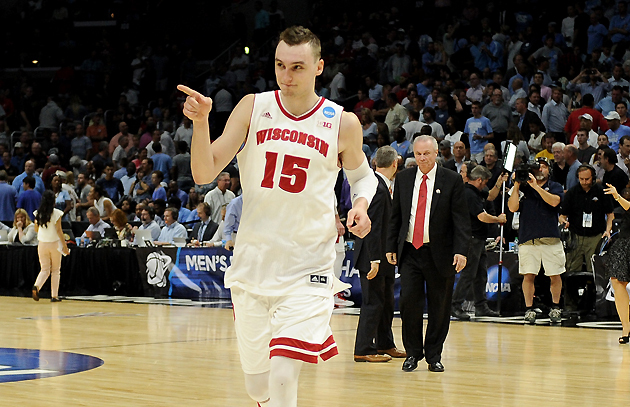 Dekker’s stock really began to rise during Wisconsin’s NCAA tournament run, particularly during the second weekend. In the Sweet-16 against North Carolina Dekker posted 23 points and 10 rebounds and then followed that up with 27 points, including 5-of-6 from downtown, in an Elite-8 win over Arizona for the right to play in the Final Four. Dekker was able to score on the college level but I think he has a little bit of bust in him. He’s a good shooter but not a great one, and I don’t think he should play too much stretch-four unless the defensive matchup is right. I can see Dekker having trouble against skilled power forwards that are a little bit bigger and stronger. He should be a solid role player in this league with the ability to give you 15-plus points every once in a while. 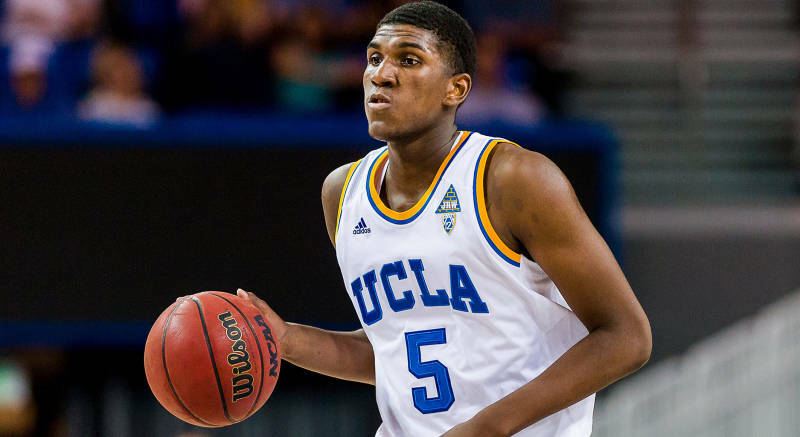 Looney is a versatile forward with a long wingspan that can be a problem for opposing offensive players. He’s not overly strong due to his smallish frame but is good on the glass, particularly the offensive glass. Looney isn’t a great shooter but has shown some potential to knock down a three at the college level and if he can continue to work on that part of the game he’ll be a viable player in this league. For a while there was some talk of Looney slipping out of the first round due to an asthma condition, but he looks to have done away with those concerns. Jones isn’t one of my favorites in this draft. 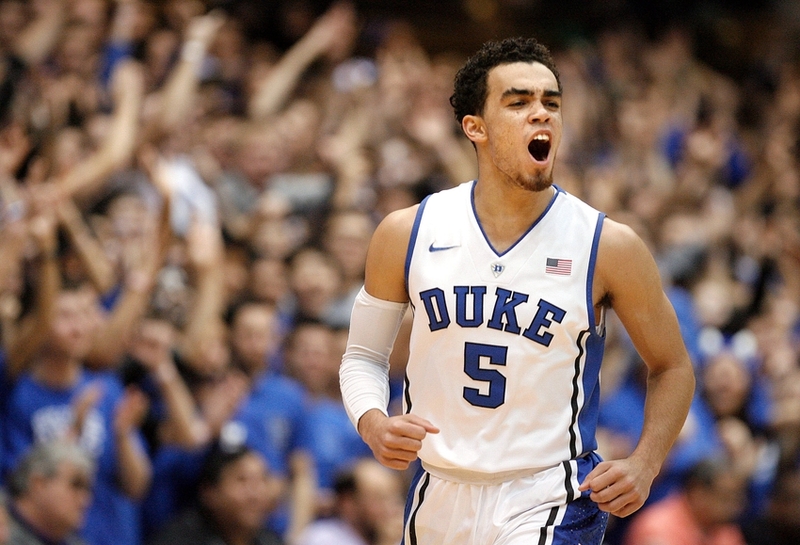 He began drawing a lot of praise during Duke’s National Championship run but to me he’s a solid role player. There’s a lot of Trey Burke in him, and that’s okay, as long as you aren’t being counted on like the Utah Jazz did with him this past season. Burke can survive as your starter but so long as he’s not asked to carry any kind of a load and the same should apply to Jones in the NBA. All that being said, I think Jones to the Rockets is a good fit. Houston desperately needs depth at the position as they were relying on Jason Terry and Pablo Prigioni for big minutes in this year’s playoffs with Patrick Beverley shelved due to injury. I also like the idea of Jones having a teammate like James Harden who will control the ball more and let Jones park on the perimeter at times in the game waiting for the open look. Houston may actually end up being his landing spot in the league, according to ESPN’s Chad Ford there have been whispers around the league of the team giving Jones a guarantee they’ll take him at 18 if he’s on the board. 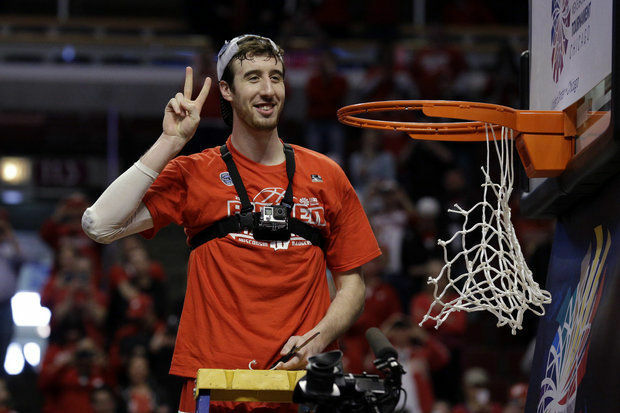 Kaminsky is another player not exactly high on my board and by the looks of several mock drafts all over the internet the past few weeks, I’m not so sure others understand how to evaluate the 2014-15 College Basketball Player of the Year. I’ve seen “Frank the Tank” go as high as eight in a mock draft to as low as 20. There is no doubting that Kaminsky has a lot of offensive skill. His shot and footwork are very impressive. What I worry about is his severe lack of athleticism and largely because of that, his inability to guard the center or power forward position in the league. There’s definitely a spot in the NBA for Kaminsky, especially with the league turning to spacing and three-point shooting, I just don’t view him as an integral part on an NBA team, more like a solid role player who’s going to knock down some shots. Harrell could be one of those guys in the draft that when you look back a few years down the road you’ll see him as the best value pick. 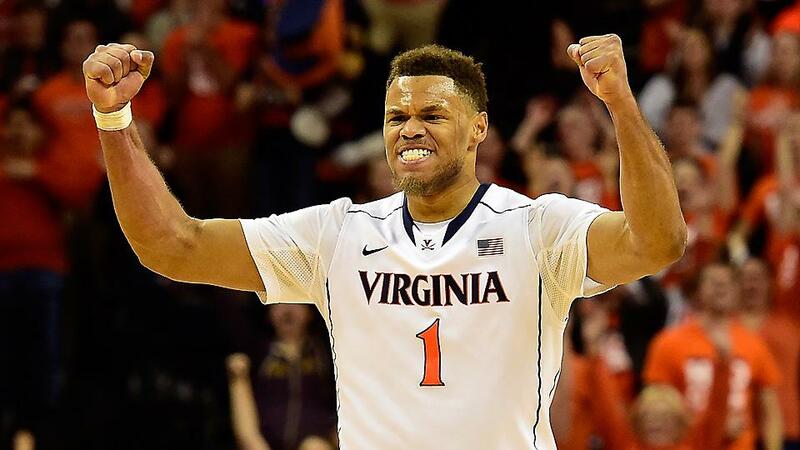 Despite not being overly huge in height, he’s a complete monster around the rim both on the glass and on put-backs. 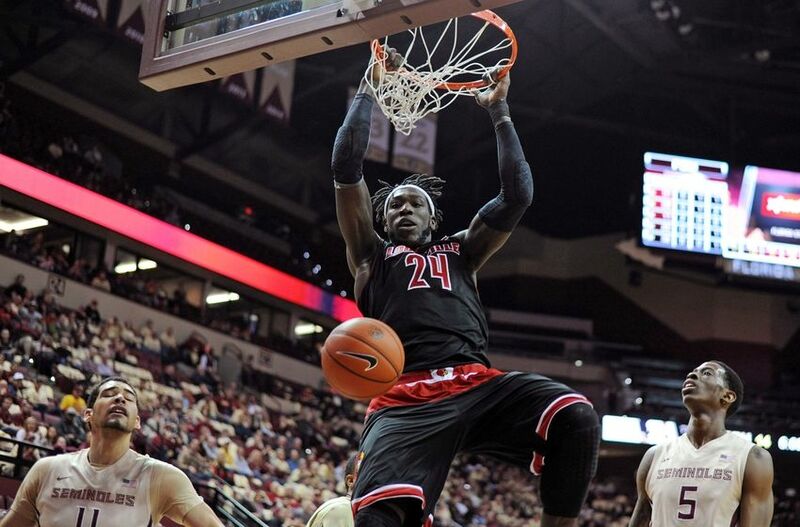 Along with his ferocity on the court, I love the development Harrell has shown over his time at Louisville. He’s made himself into a respectable mid-range shooter over the past two seasons and has shown a feel for the game that you probably wouldn’t have expected for a guy like him a few years ago. Harrell will continue to grow and while I don’t expect him to quite be a knockdown shooter, he can show signs of being a capable option off the pick-and-pop. 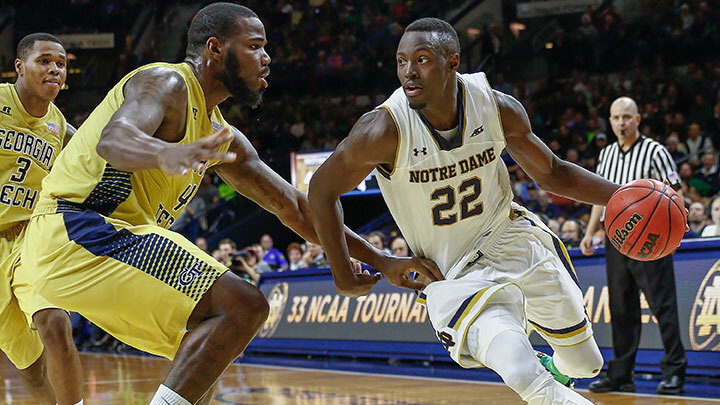 Grant has really come along in his four years at Notre Dame, turning into an elite decision maker at the college level who takes care of the ball. Grant also possesses great size for the position, finishes at the rim well and is an exceptional athlete which will all bode extremely well in the NBA game. 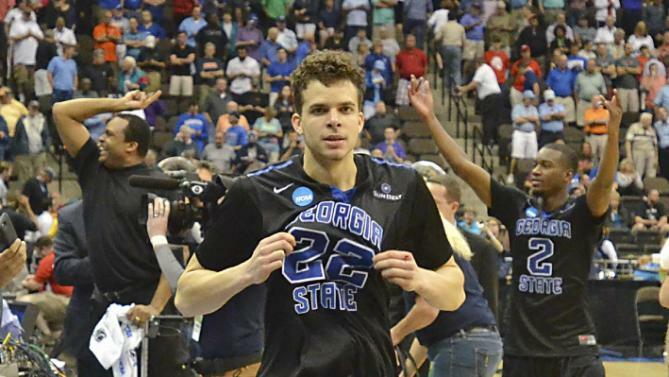 Grant is clearly fourth-best point guard in the draft in my mind, well ahead of Tyus Jones. NBA bloodlines is always a big plus for a kid coming out because they tend to be more mature when they get to the league as they know what to expect. Grant is the son of former 11-year NBA forward Harvey Grant, nephew of former NBA Champion Horace Grant, and brother of current Philadelphia 76ers forward Jerami Grant. Vaughn may have gone higher in this draft had it not been for a meniscus tear in his left knee back in February. Vaughn can score in a variety of ways, before the injury he was putting up 17.8 points per game on 44-percent shooting (38.3 from three). There’s just a certain craftiness with the way Vaughn scores the ball which isn’t what you expect from an 18-year old kid. He also has potential on defense and the likelihood of him being a lottery pick had it not been for an injury would have been very high. The Bulls could be getting a steal with Vaughn at this spot. Hunter’s shooting percentages took a pretty big dip his junior season compared to the first two, but he still enters as one of the best shooters in the draft. He’s impressed quite a bit in his workout and as a result we’re starting to hear some possibilities of him being selected in the middle of the first round. I don’t think that ultimately happens considering how deep this draft is but landing at 23 to the Blazers could be a nice spot. Whether they lose Wes Matthews in free agency or not, Portland will need someone to plug the shooting guard gap for at least the first few months of the season. Rozier has good strength for a point guard and has a few ball-handling moves that are somewhat unique in a way but yet very affective. Rozier made a huge jump in his sophomore season at Louisville as his minutes nearly doubled, going from 7.0 points per game to 17.1 as he became a key player in Rick Pitino’s offense. Rozier’s scoring mentality is a reason why he was dubbed a combo guard coming out of high school but his ability to take care of the ball and lack of size will be why he’s a point guard in the NBA and as he grows, he’ll get smarter running an offense. 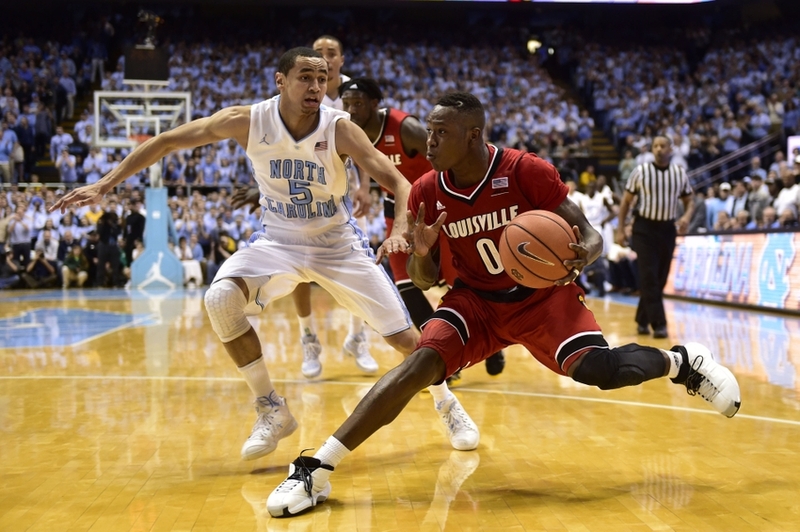 Rozier is a bit of a ball thief and has drawn some comparisons to former Atlanta Hawks point guard Mookie Blaylock. That comp is a bit strong to me, Mookie was a defensive beast at the position and more of a pure point guard. Rozier’s good but not that good. 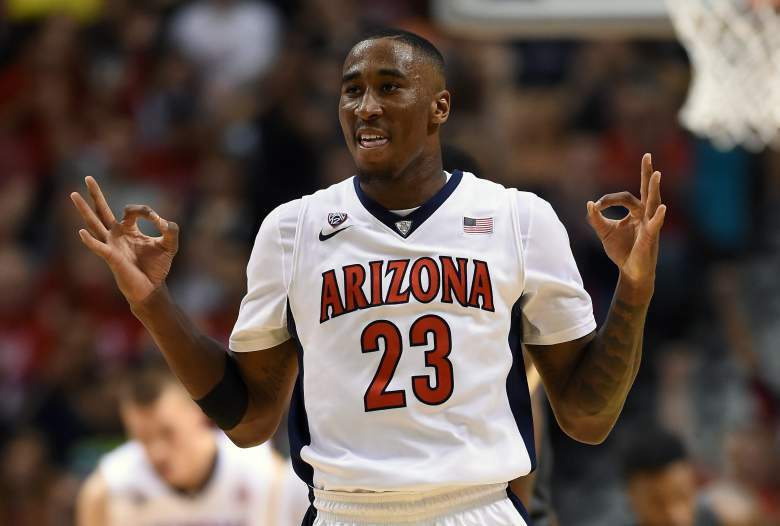 Hollis-Jefferson is an excellent athlete and exceptional leaper for a small forward. He brings length and strength to the position which bodes extremely well for his defensive game on the NBA level considering some of the wing players we have in today’s game. I don’t see RHJ as a guy who’ll really create his own shot too much but will have the ability to knock down the triple on a drive-and-kick. He’s impressed in workouts so there’s a chance he can go even higher depending on how the draft shakes out ahead of him. Hernangomez is a prototypical Spurs draft-and-stash pick. He’s shown a lot of offensive skill around the basket and a very nice feel for the game that you love to see in a big man. Especially if he starts to create mismatches and draws double teams. 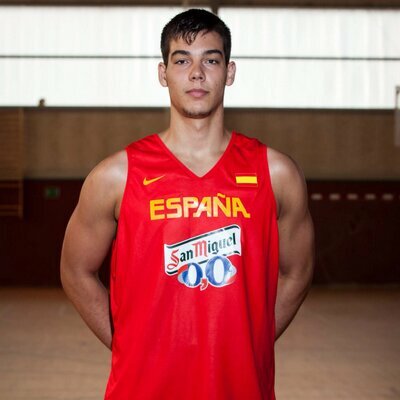 Some of his mannerisms and body type look a lot like Marc Gasol and it makes sense considering he’s from Spain. San Antonio is looking for as much salary cap space as possible and Hernangomez may stay in Spain for another two seasons to refine his game. Making him a perfect choice for the Spurs at 26. Wright can probably step in tomorrow and be a good NBA defensive guard. He brings great size to the position and anticipates passing lanes exceptionally well. On the offensive end Wright is a crafty point guard with a good feel for the game and he understands how to keep defenders off balanced. He’ll need to improve his jump shot but he’s shown so much improvement in his time at Utah that I don’t doubt he’ll continue to do so at the NBA level. McCullough started out the season in a pretty big way – averaging 14.4 points, 8.7 rebounds, 2.3 blocks and 1.8 steals over his first eight games, including three double-doubles. But then he fell off in his final eight games, scoring only 34 total points before tearing his ACL in January. It’s a bit of a wonder why McCullough even entered the draft, especially since he isn’t able to work out for anyone as he recovers from his injury. There’s some speculation that he may have received a guarantee from a team so although it’ll likely be late, he should go in round one on draft night. 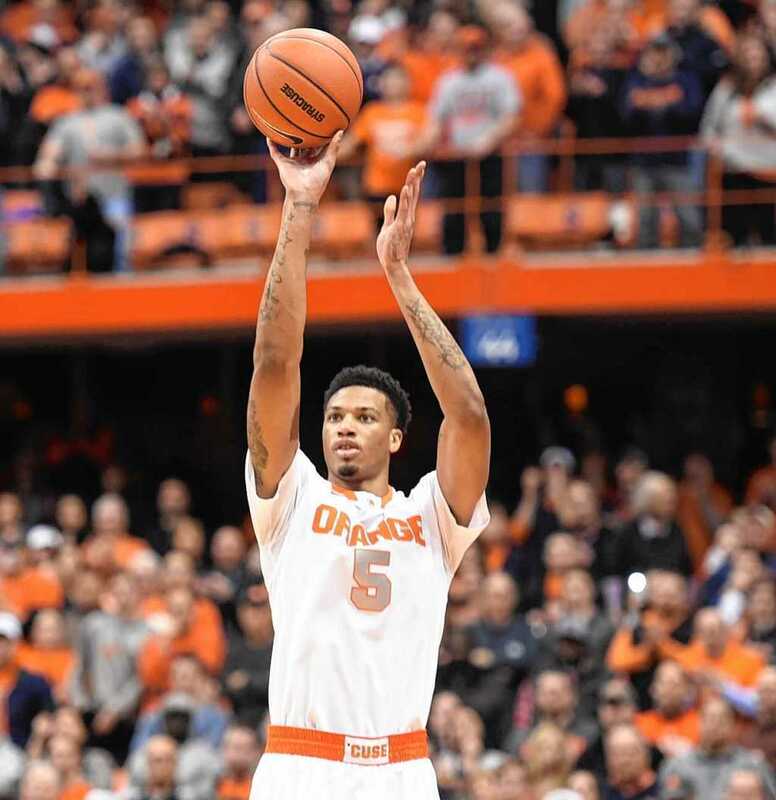 As for his game, McCullough has a good looking, smooth shooting stroke that could be effective from mid-range. He has a long wingspan and a nice versatile skill-set but coming off a major injury and entering the NBA, McCullough seems to be a bit of a work-in progress. I’m not as high on Anderson as some seem to be. I think he’s a fringe first-round talent and his ceiling is as a starting role player but it’ll be his defense that gets him there. Anderson’s shooting definitely improved this season at Virginia, particularly his three-point shooting, which is what will draw the interest of general managers around the league. Upshaw no doubt comes with high risk considering his history (Upshaw was kicked off the team in January), but there is big upside with him. 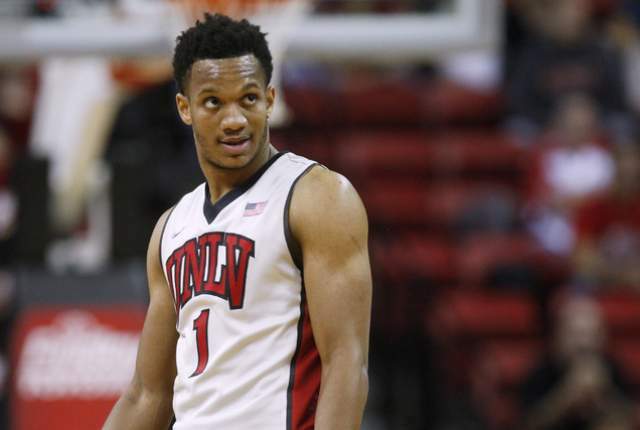 No one in the draft measures the way Upshaw does with some aspects being comparable to Nene, Shaquille O’Neal and Brook Lopez according to DraftExpress. On the offensive end Upshaw will likely be reserved to put-backs and just anything around the rim, but his incredible shot blocking and the ability to alter virtually any shot will be incredibly valuable in the NBA. 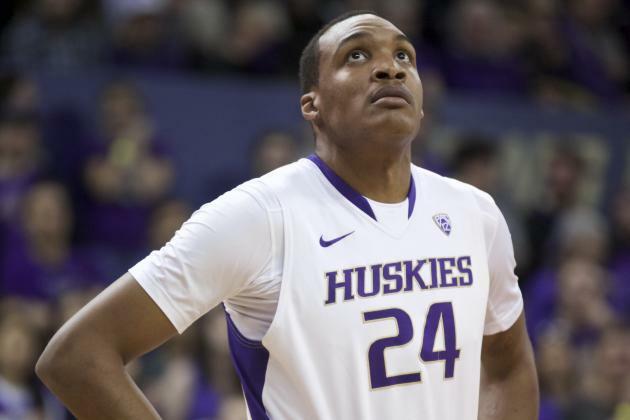 In Upshaw’s 19 games at Washington he averaged 10.9 points, 8.2 rebounds and 4.5 blocks in just 24.9 minutes. Stretch those numbers out to a per-40 minute rate and you’ve got 17.6 points, 13.1 rebounds and 7.2 blocks. Had Upshaw been coming into this draft with a clean past while putting up the numbers he did at Washington, he’d be a potential lottery pick. Because of his infractions, there’s a pretty good chance Upshaw doesn’t get selected in the first round, but at 30th overall the Warriors could be fielding some calls from a few teams interested in trading up.